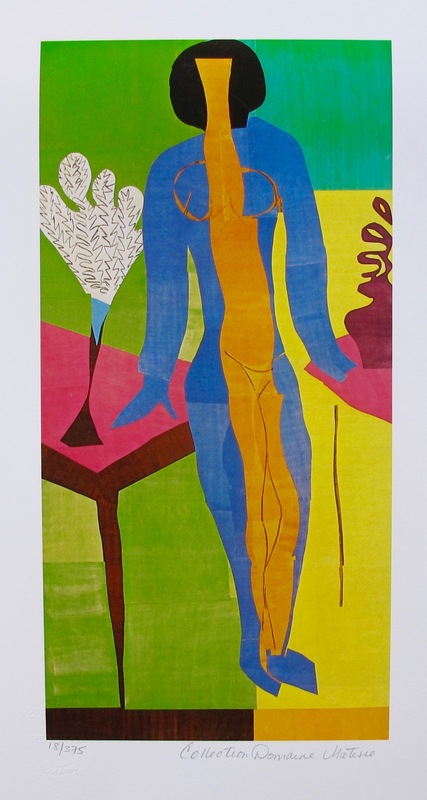 This is a HENRI MATISSE (ESTATE COLLECTION DOMAINE) limited edition giclee titled “GOLDFISH”. 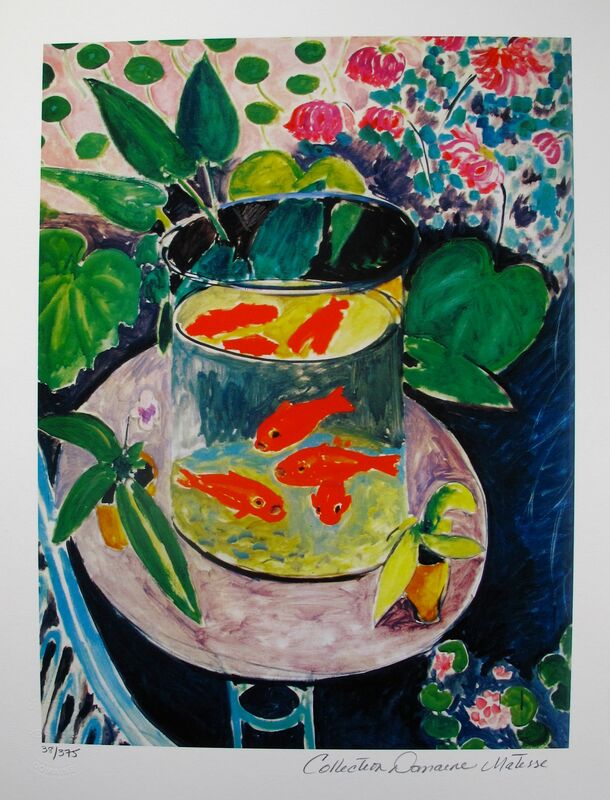 This is a HENRI MATISSE GOLDFISH estate signed limited edition giclee (ESTATE COLLECTION DOMAINE). This piece is pencil signed on the lower right as ‘Collection Domaine Matisse’ and has an embossed seal stamped by the Estate Domaine. Pencil numbered from an edition of 375. Paper measures 14.5″ x 11″. Image measures 12″ x 9″. Published on thick quality archival paper. In excellent condition, comes unframed. Comes with a certificate from the Matisse Domaine Collection. Matisse, nearly forty by 1905, was the ringleader of the Fauves. His works are characterized by big blocks of bold, vibrant colors and a deceptive simplicity. 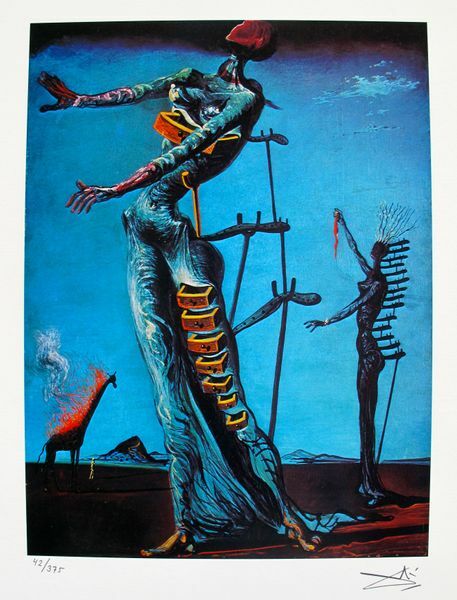 He and Picasso are probably the two artists who had the greatest influence on the course of 20th century art. 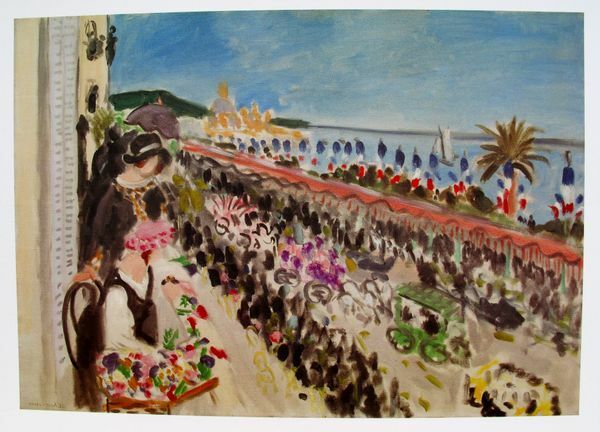 Be the first to review “Henri Matisse GOLDFISH Estate Signed Limited Edition Small Giclee” Click here to cancel reply.